Right from the start it was a direct mission match. FableVision Studios and Commonwealth have been working together since 2010 to provide people with the financial tools they need for the security and peace of mind they deserve. Commonwealth (formerly known as the Doorways to Dreams Fund) hopes to create a stronger and more prosperous society where everyone has financial opportunity. Together with Nick and our partners at Commonwealth, we’ve created the award-winning financial literacy games Bite Club, Con ‘Em if You Can, Farm Blitz, and Refund Rush. At the helm of innovation is Senior Vice President Nick Maynard, who’s part of the team responsible for making this mission a reality through playful learning. Through games that teach financial literacy, Commonwealth is improving the lives of Americans by educating users and making financial literacy, security, and opportunity attainable for all. Read up on the new tricks up Nick’s sleeve as he moves Commonwealth towards new heights, chats about utilizing gamification to improve financial education, and his gem of a find on Pokémon Go. Tell us a little bit about your role at Commonwealth and how you approach your work. I am a Senior Vice President at Commonwealth and recently celebrated 10 years with the organization. Since joining, I’ve been involved in leading initiatives to improve savings outreach for low to moderate income families, piloting and scaling prize-based savings in the financial services industry, and promoting national civic savings through 21st retail securities. Currently, I focus a great deal on scaling our work around gamification/games (“Financial Entertainment”) and Prize-Linked Savings. Making people financially secure is the core of Commonwealth’s mission. How does the organization’s perspective and work stand out as distinctive? User engagement and insights are at the core of our innovation process to create solutions that promote financial capability. For the games, we work on the designs alongside low- and moderate-income consumers. They join us at three key milestones during the development of each game to give feedback on the gameplay experience. We also conduct preliminary efficacy testing with these and additional users. Our suite of “Financial Entertainment" (please have Flash enabled on your browser to view the site) video games currently includes six titles that cover topics ranging from budgeting and debt management to saving for retirement and avoiding financial fraud. Since the games launched in 2010, we’ve seen some exciting results! The FE website has had 975K visits by 750K users, and 53K app downloads. How did Commonwealth come to cross paths with FableVision? We had heard of FableVision from a number of folks in our network due to their outstanding track record and reputation. Our friends at the MIT Education Arcade brokered a formal introduction. Gary Goldberger and I sat down to meet, discuss our first two games, and the work we had envisioned for the future. The partnership has been going strong ever since. You’ve worked with FableVision to create a suite of award-winning financial literacy games including Bite Club, Con ‘Em if You Can, Farm Blitz, and Refund Rush. What has your experience been like working with FableVision? Collaborating with FableVision has been a fantastic journey. Across all facets of the FableVision team—production, art, content, tech, design—folks dug deeply into our mission of financial security innovation. The success we have achieved together is a reflection of that approach. The Con ‘Em if You Can game (avoiding financial fraud) is played through the eyes of an antagonist. How did you decide to have the end user play as a con artist? The original design was developed with our partners at the MIT Education Arcade, Caitlin Feeley and Scot Osterweil. We had always wanted to leverage this approach as a pedagogical strategy, learning by being an actor who might exploit financially vulnerable consumers. Caitlin and Scot were able to package that “being the bad guy” idea in a palatable way for us. 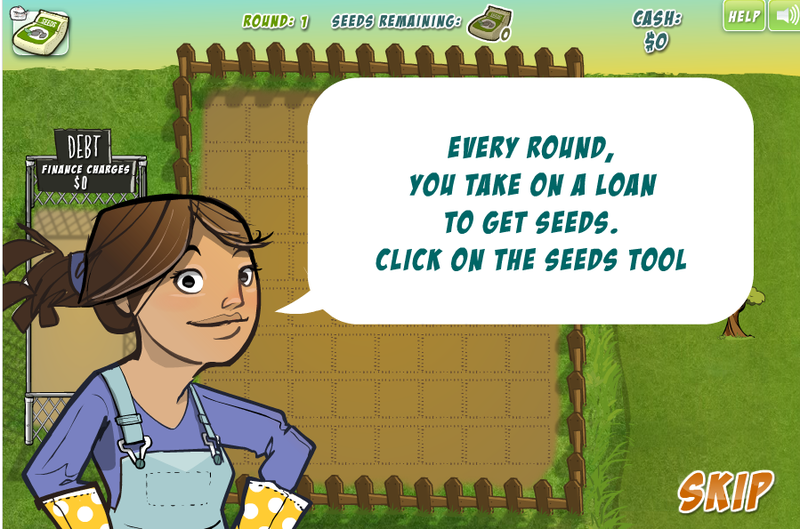 Why and how do you think games improve financial opportunity and literacy? With hundreds of millions of users, casual video games like Angry Birds and Candy Crush are hugely popular among a wide variety of demographics and offer an opportunity to engage financially vulnerable people. These games are easy to learn, addictive, available on demand, and allow for short periods of play. Thanks to widely used digital technologies like smartphones, video games can be made available at scale more cost-effectively than traditional financial-education workshop models. How does Commonwealth measure the effectiveness of its games? What impact have you seen? We measured how well the games work in prompting positive financial behaviors and action taking through two initial studies. 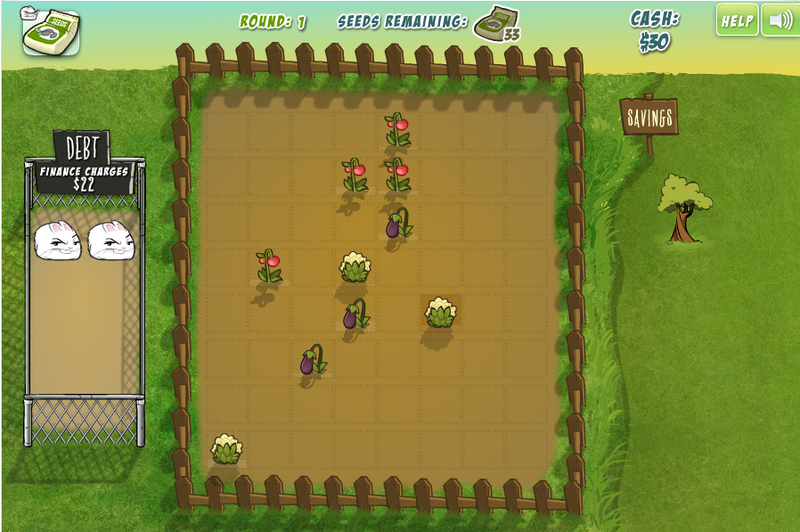 First, we conducted a randomized comparison trial of the debt-management game Farm Blitz, a match-three puzzle game in which players need to match like vegetables in a row quickly so they can earn money to pay down debt, manage cash on hand, and invest in their future as they advance to higher levels. 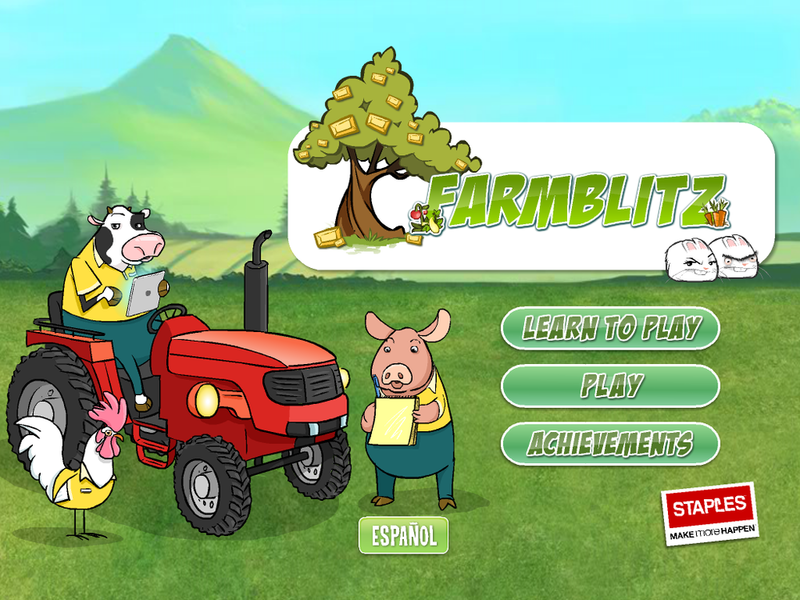 The Farm Blitz study measured the impact of gameplay—as compared to reading traditional financial-education materials—on gains in knowledge and uptake of a savings opportunity. Both groups achieved statistically significant gains from the baseline on measures of confidence and knowledge, but savings action-taking was slightly higher for the video game group. Thinking about magnifying impact, a video game is more appealing than reading a pamphlet, and thus video games are better able to attract a larger target population to engage with financial-education content. In another study, we partnered with office-supply company Staples to customize and test a version of our Bite Club retirement-planning game. As owners of a vampire "day club," Bite Club players have to keep their customers happy by clicking and moving them around to give them what they want. Between rounds, players must pay down debt and save for retirement. 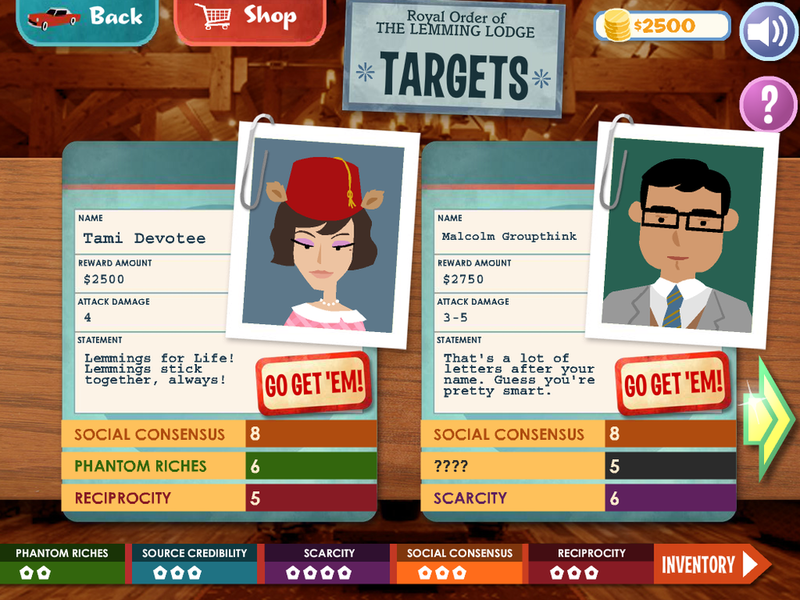 During the test, the customized game connected to Staples' 401(k) and benefit platform and allowed players to take action in their accounts during play. During one test using a single direct-mail piece promoting the video game to newly eligible participants, Staples observed an 11 percent rate of positive action taking in those recipients' 401(k) accounts. These studies provided early evidence that games really can foster learning and prime individuals to take active roles in their own financial planning, and have fun while doing it. The results in turn led Commonwealth to think about how we might further integrate fun financial tools into contexts in which they could create sustained behavior change and lead to improved longer-term financial outcomes. How have you seen the conversation around financial literacy evolve? The approach to financial literacy is changing and user engagement is becoming more significant than ever to build financial capability. Traditional financial workshops, while informative, don't always meet the needs of users. Such workshops can lack excitement and are typically offered at times and in contexts removed from those in which people make financial decisions. Widely-used digital technologies like smartphones are a game changer! Video game technology can be leveraged to address some of the shortcomings of traditional financial education by acting as appealing, low-stress entryways that motivate users to engage with educational experiences. The possibility to embed opportunities for playing the game (gameplay) on the computers and mobile devices that players already use to manage their financial lives and easily connect to platforms for taking action is very powerful. We encourage the financial industry, community partners, and policy makers to explore solutions that leverage games and gamification to increase engagement and improve financial security and opportunity. So—what’s next for Commonwealth? Have anything cool in the works? Motivated by the findings of our initial research and inspired by the success of gamified digital health and fitness tools like Fitbit and the Zombies, Run! app, we developed a “game” that would create a self-contained system for motivating and rewarding consumers for ongoing real-world savings actions. SavingsQuest is a tool that uses challenges, badges (digital awards offered for completing certain actions, like saving $5 at a time), and messaging to motivate savings transfers connected to live financial products, such as between a checking and savings account. Unlike traditional savings activity, SavingsQuest offers a fun and dynamic interface that delivers instant gratification for every save with an animated dancing pig. These elements combine to encourage small and first-time savers to start saving—even if only a penny at a time—toward the goal of having $250 (or any other chosen amount of savings) set aside for an emergency. Beyond emergency saving, we also sought to bring the principles of gamification to bear on the challenge of improving college financial readiness. With the support of the Treasury Department's Financial Empowerment Innovation Fund, we developed a gamified application called Ramp It Up to do just that. 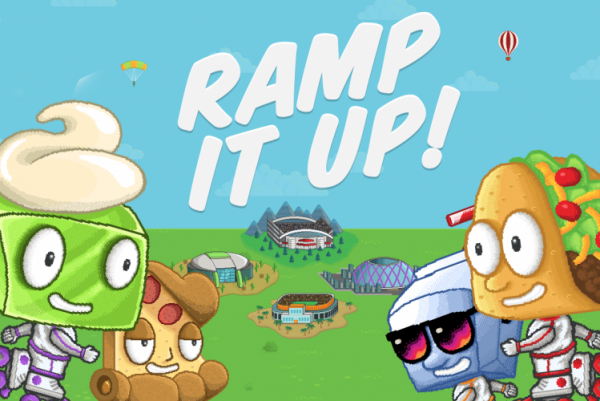 Ramp It Up is a game in which players tap their screen to enable their character to fly through the air and avoid obstacles while collecting as many coins as possible. Players use the coins to unlock new abilities and levels. 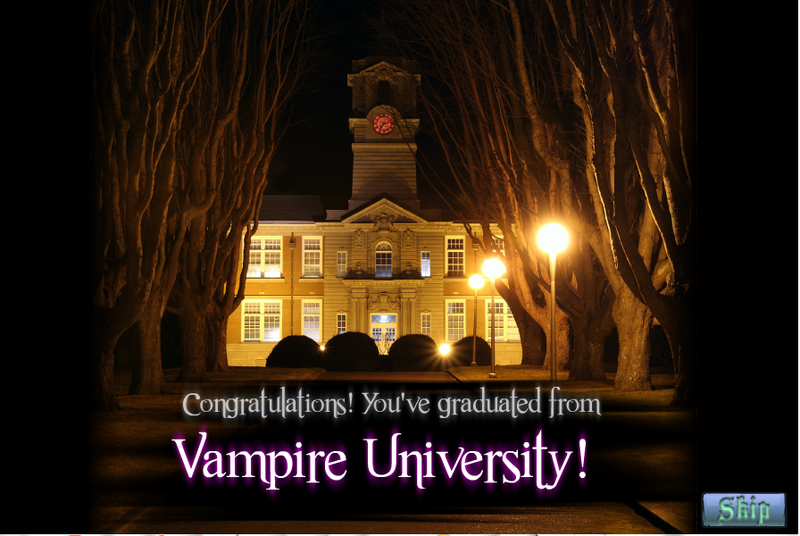 Between rounds, the game requires players to navigate and interact with college- and career-readiness tools—creating a Free Application for Federal Student Aid account, for instance, or searching for scholarships—in order to advance and unlock certain features within the game. As they engage in these activities, students gain both financial knowledge and confidence in their ability to attend and pay for higher education. With so many resources competing for the attention of young people, tools like Ramp It Up can help break through the noise to spur meaningful action using a format familiar to and popular with students. It was absolutely Galaga! I remember spending lots of quarters and hours at the arcade on rainy days trying to get the spacecraft captured so I could double up my fire power, and then trying to get perfect scores on the “Challenging State.” The feedback in this game was excellent with the hit/miss ratio being something to try to improve. During the height of its popularity, it was a huge accomplishment to make the leaderboard and a worthy challenge to get the overall high score on a Galaga machine. I hear you play a lot of Pokémon Go. What's the best Pokémon you've caught or evolved? I play lots of Pokémon Go with my 7-year-old son. With the release of the new gym design, we were able to battle and catch a 20133 CP Tyranitar, which was pretty cool. We have a good system worked out in the new design where he battles and I catch in the new gyms. This game has definitely had a long tail with us. Nick Maynard is a Senior Vice President for Commonwealth. Since joining, Nick has led initiatives improving marketing to LMI families, piloting prize-based savings in the credit union industry, and offering US Savings Bonds at tax time. Currently, he concentrates on scaling work around Prize-Linked Savings and gamification/games (“Financial Entertainment”). Prior to joining Commonwealth, Nick spent almost a decade providing customer, market, and operational strategy consulting to Fortune 1000 executives while at Deloitte Consulting and Braxton Associates. Nick holds both a Masters in Business Administration and a Masters in Public Policy from Harvard University. He also holds a Bachelors of Engineering and Operations Research from Princeton University.